Gledhill Pulsacoil, A class Repair, Pulsacoil Repair, Thermal Store Repair, Boilermate Repairs Anywhere.Systemate repair. gledhill pulsacoil, A class. boilermate & systemate specialist. 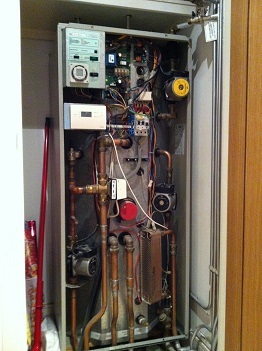 Most modern flats have thermal store hot water cylinders installed in them to meet the current building regulations. However pulsacoil heaters can be problematic.We have been repairing these heaters for many years now and are up to date with the diagnostics to carry out the repair in london & essex. We have the experience and ability to advise you on the repair and how to maintain your pulsacoil so there will be less chance of problems arising in the future. Some common faults are sensors and non resettable thermostats that overheat causing steam to rise to the airing cupboard ceiling. The A class pulsacoil are our speciality as these seem to be the main calls we receive to repair. One of the main faults on the A CLASS is leaky immersions and burnt out relays. With our extensive experience we have the ability to repair or replace for new models . Call today or contact us on this page and we will be happy to help you.we also work on heatrae sadia megaflo water heaters as well as trianco so you can be confident of our services and reasonable prices and we do not charge vat. We have also repaired and replaced the boilermate electric boilers.